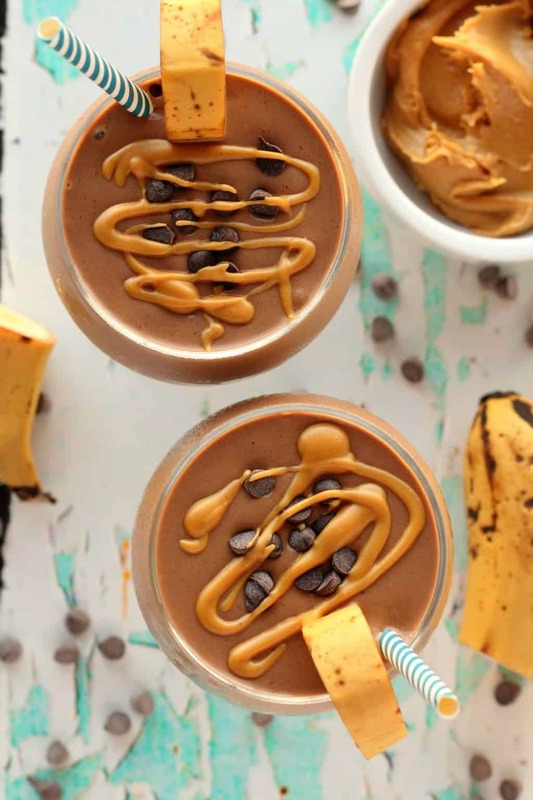 Peanut butter and bananas are a match made in heaven. 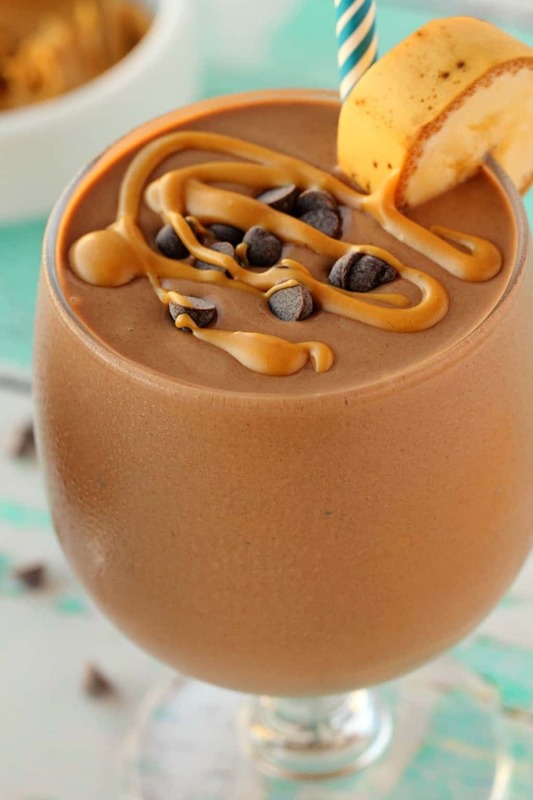 Add chocolate to that mix and your tastebuds will have a tastegasm. Yes, that’s a real word. 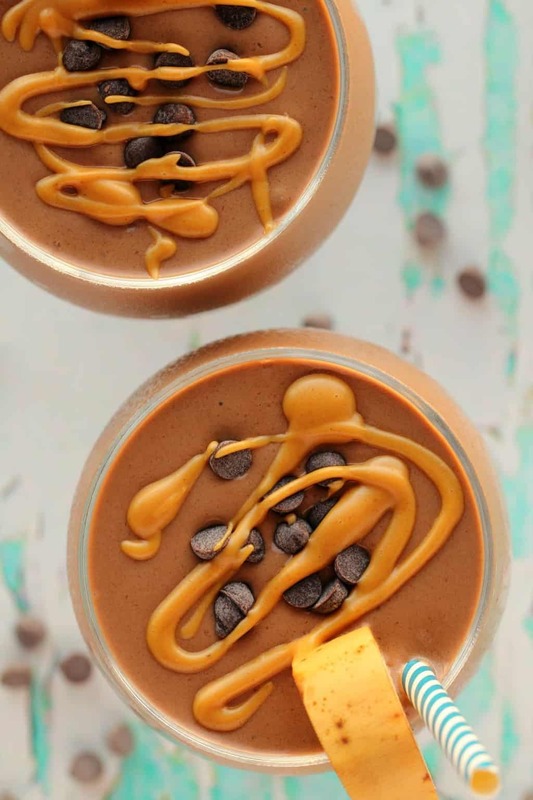 This chocolate peanut butter smoothie has just 5 ingredients, takes 5 minutes or less to prepare and makes a simply sensational breakfast that will power you up for the day like nothing else. Or you can just go ahead and have it anytime you like, because you know, why the heck not? 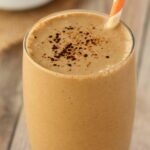 This chocolate shake is smooth, rich, creamy, chocolatey, dreamy and decadent, while also being hearty and healthy. 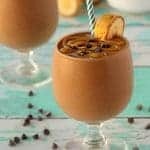 All you need is some frozen bananas, peanut butter, soy milk (or other non-dairy milk), fresh dates and some cocoa powder on hand to make this smoothie. And of course you need a blender. 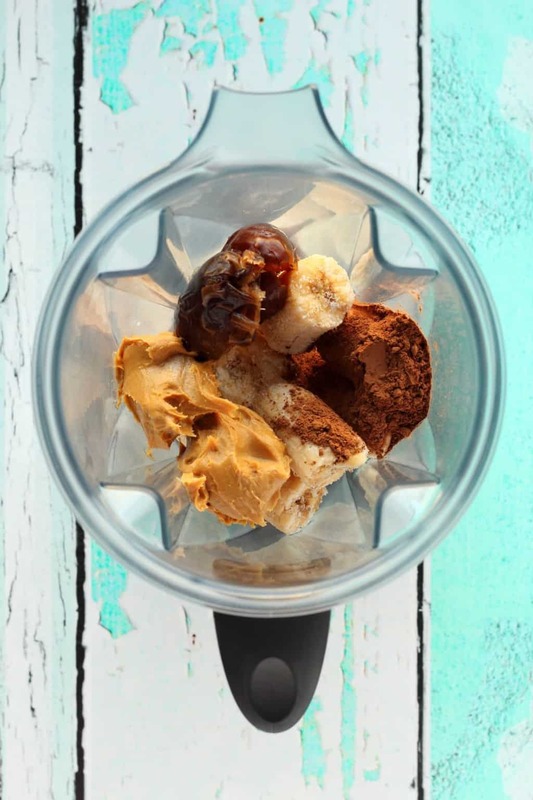 If you have all these things on hand, then you’ll soon be on your way to chocolate peanut butter heaven! 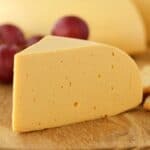 I recommend you drink it right away, as fresh fruit oxidises. 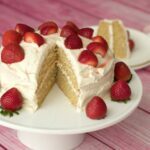 It’s so delicious you’re not going to want to wait, so that part will be easy! 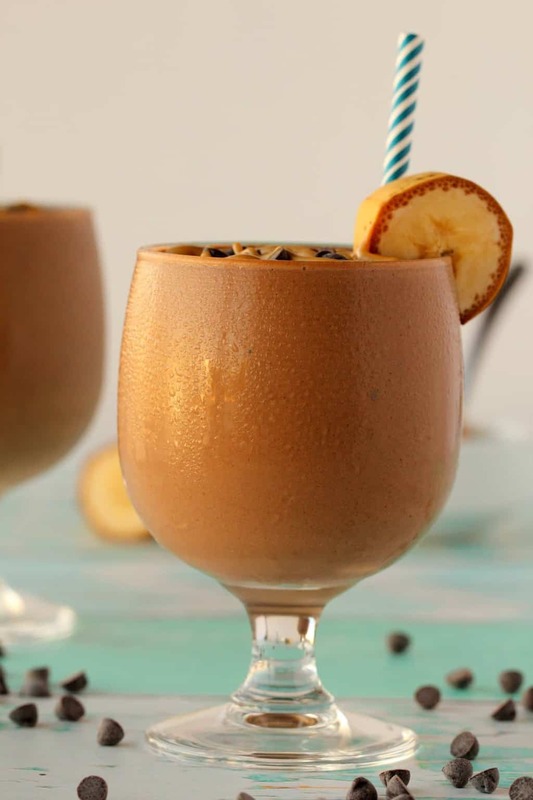 Like a chocolate milkshake, but super healthy! 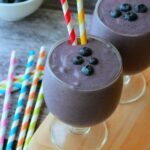 Blend it up and enjoy it right away! 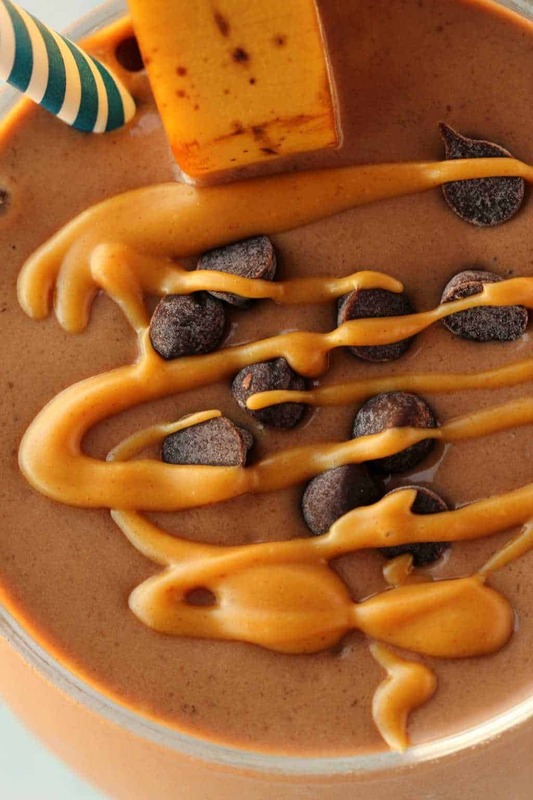 A sprinkle of vegan chocolate chips and a drizzle of melted peanut butter are entirely optional (but recommended!). 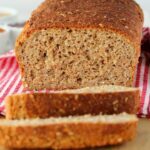 If you make this recipe (and you really should – you will love love LOVE it!) 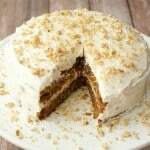 please let us know how you liked it and please rate the recipe too. Thanks so much. Sign up for our email list and you’ll get an awesome free recipe ebook with 10 delicious vegan dinner recipes and you’ll be the first to know when new recipes are posted to the blog. 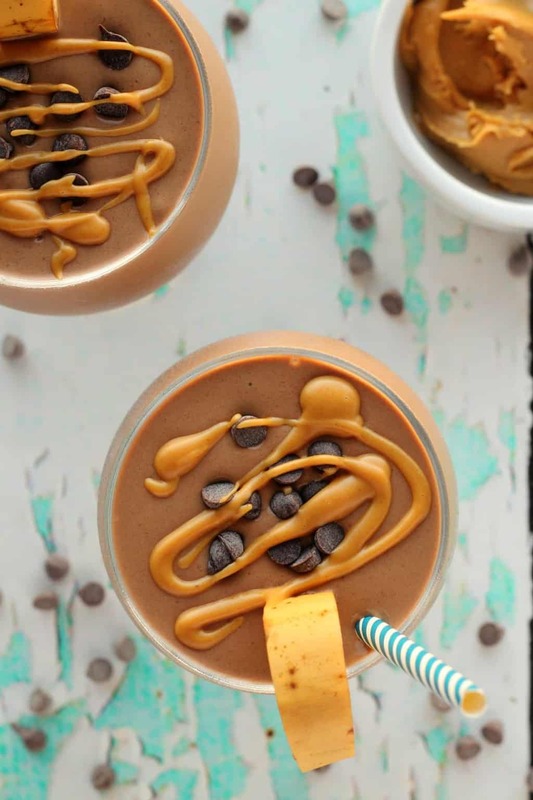 Healthy and delicious 5-ingredient chocolate peanut butter smoothie, an ideal power shake to start off the day just right! Ready in 5 minutes. Vegan and gluten-free. 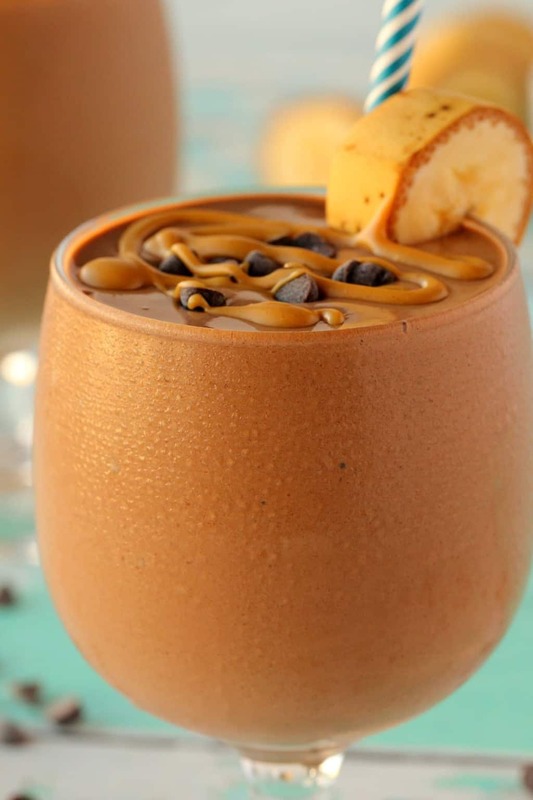 Peel the bananas and add to a blender with the peanut butter, cocoa powder and just enough coconut water to enable easy blending and a drinkable consistency. Serve with a sprinkle of cacao nibs. 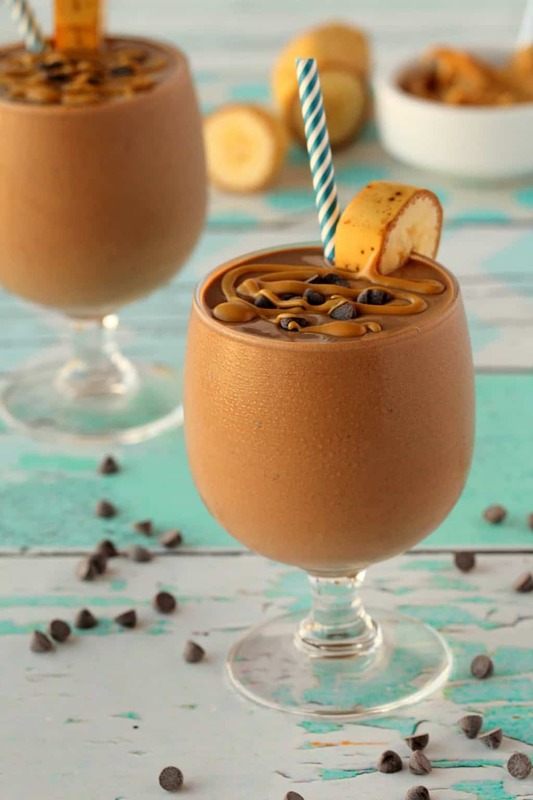 *Whenever you have an excess of ripe bananas on hand, peel them, break them into quarters and place into a freezer bag and freeze. 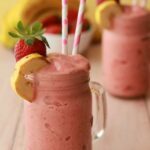 Bananas should have been frozen for at least 12 hours and be properly frozen for best results in this smoothie. *Feel free to use a different non-dairy milk if you prefer. 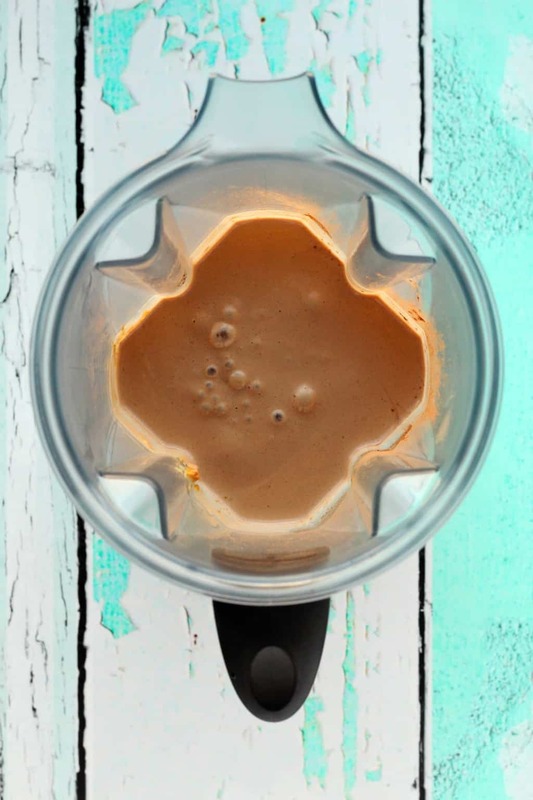 *Medjool dates are good for this as they are nice and soft and blend very nicely, but you can definitely substitute for any other kind of date or a different kind of sweetener such as a tablespoon or two of maple syrup if you prefer. 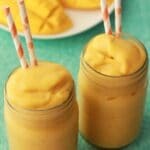 Please would somebody make this for me every single day?? Oh hang on, it’s so easy I can actually make it myself! This is super sweet. I personally was not able to drink it due to sweetness. I also added more coconut water, but that did not help. 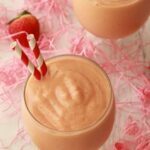 I would not recommend this smoothie unless you really like sweet things. Delicious! I was craving something sweet and chocolatey and this fit the bill!! 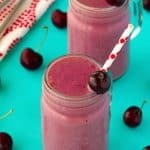 I didn’t have any frozen bananas, so I used 2 bananas and 1/2 cup frozen organic cherries (I think chocolate and cherries were made for each other). Tasted just like a Wendy’s frosty to me! So delicious! Definitely helped me satisfy my sweet craving!